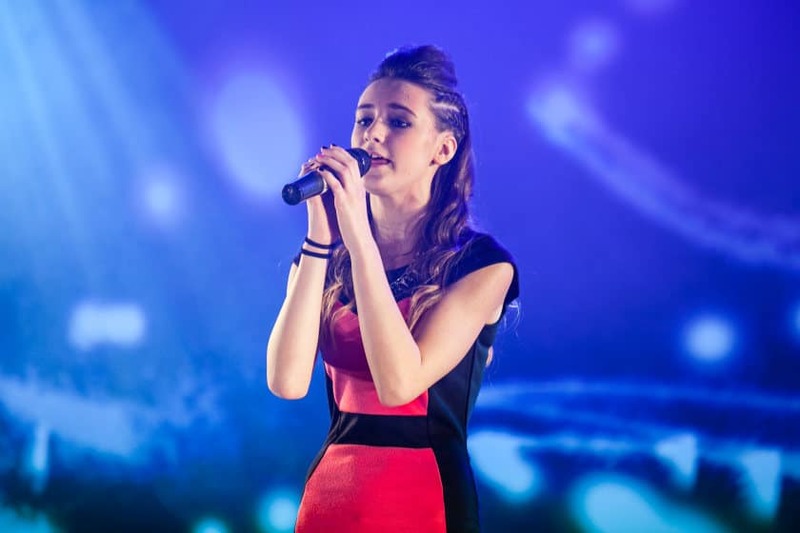 How to Perform: Performing is one of the most important parts of being a singer. Although the voice is important, knowing how to perform and entertain your audience through your performance is also massive. Matching your performance with your vocals and the song is essential. Here’s some advice from Open Mic UK on how to perform as a singer! Whether you are on stage or in an audition room use the space around you to learn how to perform. This doesn’t necessarily mean you have to walk over every inch of it, but make use of it, don’t let the space swamp you. Your performance is not only about your voice. Whether you’re using a mic or not or stood with a mic stand, you can still move around more at the upbeat parts or even use your arms to highlight emotional parts of the song. Getting close to the front of the stage helps with connecting to the audience too. Facial expressions are really important when you are performing. Not only do they help you convey the emotion of the song to your audience, but they also help to connect with your audience. If you’re singing a sad, emotional song, bring that pain or sorrow into your facial expressions and if it’s an upbeat happy song be sure to have bright and fun faces. It is also important to remember to ALWAYS SMILE. Even if you are singing a sad song there are always parts that you can smile to your audience at. Smiling shows you are enjoying yourself, which makes the audience enjoy the performance too. Eye contact is also really important to connect with your audience. During a vocal performance, one of the most important jobs a singer has is to do is inject emotion into the lyrics of the song. Learning how to embrace the power of emotion is vital for giving your audience a convincing performance and conveying the lyrical content. Many artists experiment with different vocal qualities and changes in tone in order to learn how to add emotion or edge to lyrics – notable examples include Adele, Michael Jackson and Eva Cassidy. The tone of our voice generally carries much more meaning than the words we actually say, so practicing methods to vary vocal tone is a sure way to improve your overall performance. Figuring out how to perform can be difficult, but image can play a big part. Having your own image that reflects your personality is important, but what is more so is matching your performance and song choices with your image. This doesn’t mean you have to wear all black if you are singing an emotional song, but it may not be suitable to wear bright rainbow colours. It’s essential that what you perform musically match your image and style. You also want to be comfortable with what you’re wearing during your performance.